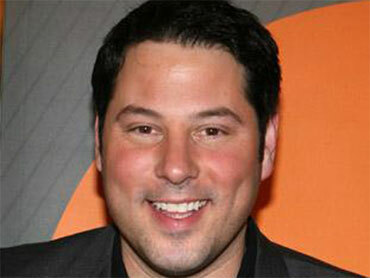 One could say that "Heroes'" star Greg Grunberg has become somewhat of a real life "super-hero." When he's not reading minds on the show, he is trying to open them to the possibilities -- and in his case it's helping people cope with epilepsy, a disease that his eldest son, Jake, 13, suffers from. Art imitates life in some form as "Heroes" follows the lives of ordinary people who discover they possess extraordinary abilities. While Grunberg may not have the ability to hear and change the thoughts of others like his character, police detective Matt Parkman, he is able to use his star power for a good cause. His portion of the band's charity benefits the Web site, "TalkAboutIt.org" he started to raise awareness and funds for people with epilepsy. "It's so great to be the spokesman for epilepsy," he told CBS News It's so important; it's so needed…For people who don't live in a big city, they don't know that there is an epileptologist out there; they don't know that there is a specialist they can go to, to get their seizures under control." The big-hearted actor is also working with Lundbeck Inc., a company that has approved products in the U.S. for epilepsy, to encourage people to continue to work with their doctor to manage their seizures. Grunberg who often plays the loveable guy next door, has starred in several hit TV shows, including: "Lost," "House," "Alias," "Felicity," "NYPD Blue" and "Monk." As for the big screen, he appeared in "Mission: Impossible 3," "Hollow Man," and "Austin Powers: Goldmember," among others. "I usually add levity and some comedy to the roles that I play - kind of like the every man, the most relatable guy or the best friend and I love it, I really do. I feel so blessed and lucky to be doing it." Watch Grungberg on CBS News' Washington Unplugged where he discusses his participation in a congressional briefing as well as the National Walk for Epilespy in Washington D.C.